Pineapple Pork Chops: This is one of the most-viewed pages on my site ever, it seems like many families like their pork this way! Mini Broccoli Quiches: I make these to freeze for later, but they always seem to get eaten before they get there! Crockpot Teriyaki Chicken: This is an easy, slow cooker recipe that kids love. Crustless Italian Spinach Pie: This is a real family favorite of ours! If you prefer, pour the mixture into a prepared pie crust. 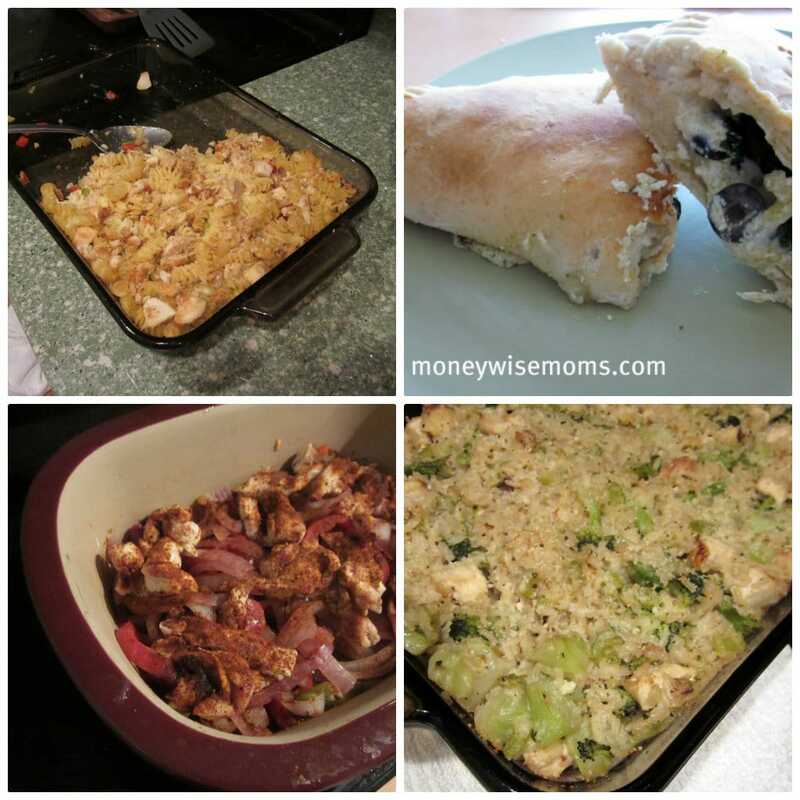 Chicken Caesar Casserole: This is easy to double-up and put half in the freezer for another night. Yum! Chicken Fajitas in the DCB: If you have a Pampered Chef covered baker, this is an easy fajitas recipe. One of my goals this year is to get a repertoire of 10 DCB meals I can use in my rotation, so look for more as I find them. Homemade Calzones: We’ve really enjoyed these, either with traditional pizza ingredients or just with cheese & broccoli. So much healthier than any frozen food, and the kids like to help make them. Gluten-Free Broccoli Rice Casserole: Not just for GF-eaters, this casserole is made with real food instead of “cream of” soup. 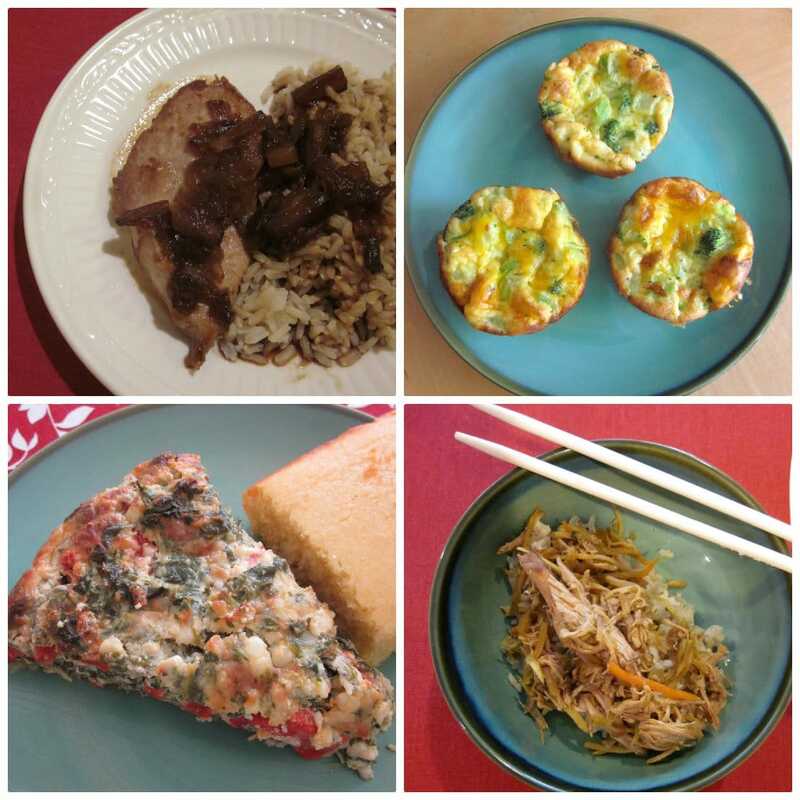 Find even more recipes in my Recipe Index. Happy eating! I’ve got my coupons ready to buy the ingredients for that Spinach pie.I can tell by what goes into it that it will be great!